Howard Bryant, native Bostonian and sports journalist/historian, has a nuanced take on the proposed name of the street that runs by Fenway Park. I disagree with the argument that people are only talking about renaming Yawkey Way because they’re all swept up in Charlottesville and the social justice warriors are taking over. If you are even remotely familiar with Boston and if you’re a true Bostonian, like I am, this has been an issue forever. Let’s also remember that Jersey Street was renamed Yawkey Way only in 1976, after Tom Yawkey died. 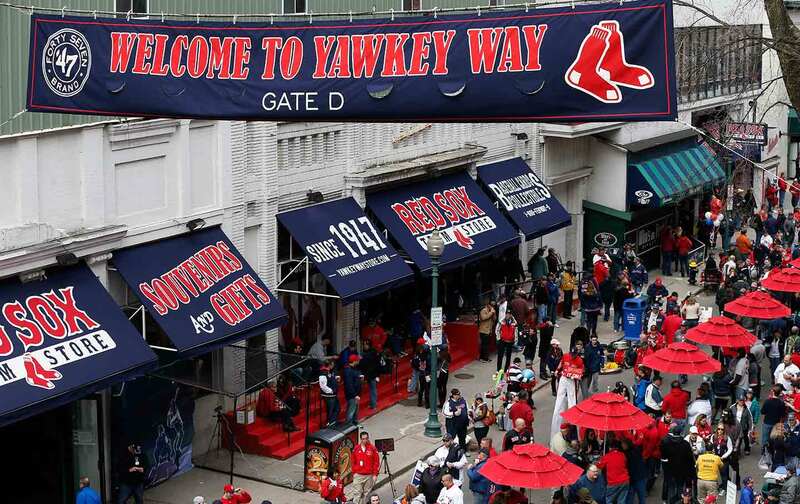 So it isn’t like Yawkey Way has been there for 100 years. It’s been there for 40 years. These things change and we change with it…. Tom Yawkey never led a racist insurrection in the United States. I would make the argument that instead of the comparison between Yawkey and the Confederacy, I would make the comparison between Yawkey and Boston. If we’re going to rename or take Tom Yawkey’s name off of this, what are we saying about the city of Boston [a city with its own tortured history of race and racism]? What we’re really saying is that we do not want his name on this franchise anymore, because we did not appreciate or we don’t feel that the contributions that he made to the Boston Red Sox were greater than this racial legacy. If you’re John Henry and if you’re the city of Boston, and that is your motivation, then I think that’s appropriate. I think that if you’re John Henry and looking at a time that we’re seeing today, whether we’re talking about Charlottesville or talking about Adam Jones [the Baltimore Orioles star called racial slurs at a Red Sox game earlier this year] or talking about this White House, you can’t hide from this anymore. A lot of people are having a sort of “last straw” moment. Maybe Charlottesville was the last straw. Maybe that “many sides” speech by Trump is the last straw. Maybe it forces you to say, “You know what? Enough is enough. I gotta do my part!” And maybe this is his part.